Your mind is often an overlooked tool you have during labor. For some women, the biggest challenge of giving birth is “moving out of the way” of their bodies, and allowing them to do their work. Giving up control in your mind and letting your bodies take over is not a muscle that we exercise very often. Birth Affirmations are a powerful way to train your mind to step out of the way of your body, and many women attest to their effectiveness in creating smoother, shorter, and less challenging labors. 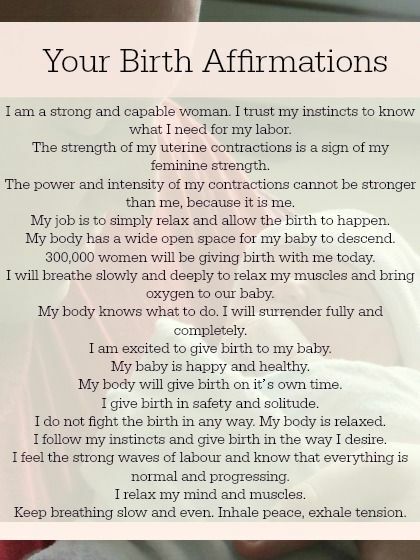 Birth affirmations are a way to encourage yourself or to be encouraged by your birth team before and during labor. Affirmations can be as simple or as elaborate as you would like them to be. They can be written out, read aloud, painted, drawn, hung on walls or written on mirrors. Women can make the affirmations themselves, have them made by family and friends at a Blessingway or baby shower, or purchase them online. 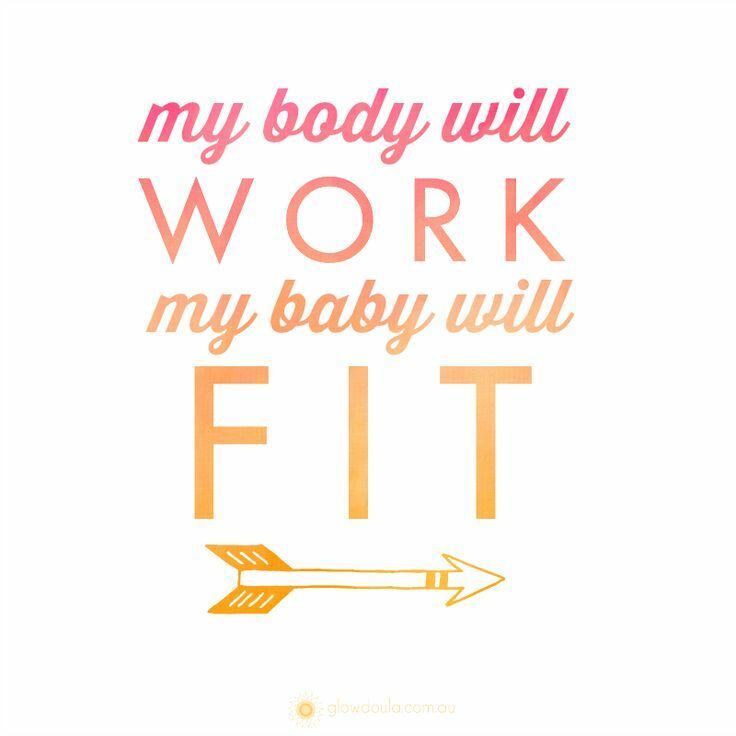 Affirmations can be anything that inspires you or encourages you to believe in yourself and your ability to birth your baby. They can be simple sentences, statements, song lyrics, poems, quotes, bible verses, or even a single word. Some women make a list of things to be read aloud to them while they labor, some post notecards on their bathroom mirror and some make flags or signs to hang in their labor space when the time comes. 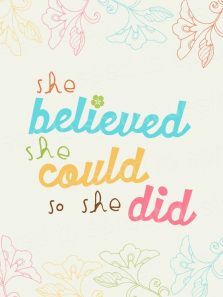 TCM: Birth Affirmation Images, check out these sweet images made by one of our TCM mamas. Blooma Love Notes: Check out this fun blog by Blooma for more affirmation ideas and images. The Birth Story of Violet Jane: This TCM mama wrote her birth story and incorporated some of her favorite affirmations into it. This Pinterest board of Birth Affirmations.